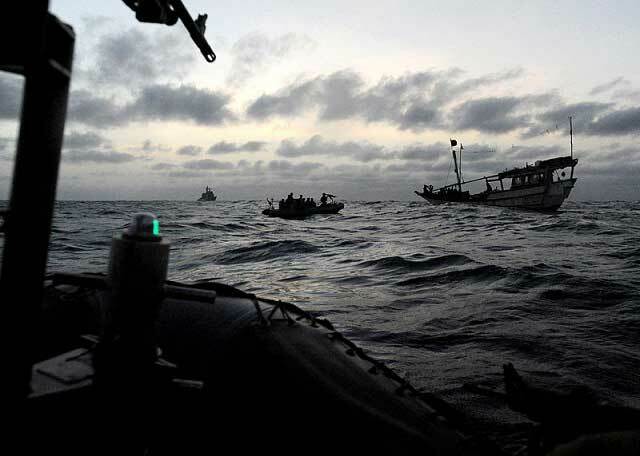 The Business Insider reports that insurance companies have finally had their fill of Somali pirates, and aims to take them on, rather than pay up. 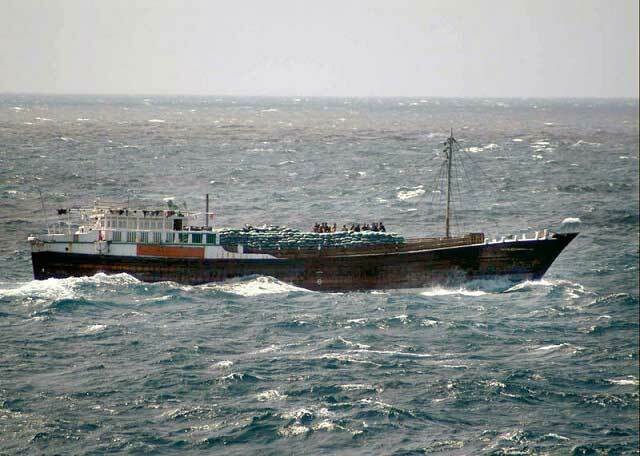 The scheme involves small fast ships crewed by 8 "security personnel" running something similar to the convoy system of WW2. Carrying and using non-lethal weapons, like noise cannons and the like are the primary tactic, however, they'll have plenty of .50 BMG backup if it gets nasty. They've already stashed the weapons needed for the fight on floating arsenal ships in the neighborhood, according to Defense Tech. Each ship in the convoy has to pay up to the tune of 30 or 40 grand for each trip through contested waters. Pirates are a real problem, but hiring mercenaries isn't solving the root causes, like for instance, failed states with no governments, and no opportunities for the people involved in piracy. Granted some of them would do it anyway even if they had all the opportunity in the world, however it seems to me that an armed "Navy" of sorts that owes it's allegiance to insurance companies and policed by no one is a bad idea. The worst excesses perpetrated in the Iraq and Afghanistan wars were from civilian contractors and mercs. Plus, if I were a pirate, I would go for the floating ammo and weapons dumps for my raw material. No one will fight to the death for an insurance company. The Roman empire had a solution for the problem. Invade, wipe out the fighters, make a Roman colony out of the place, and prosperity follows. That's a better idea than the British East India Company's model of a private army.